Balin performs at the Monterey Pop Festival in Monterey, Calif., on June 17, 1967. Jefferson Airplane in May 1967: Marty Balin (from left), Paul Kantner, Spencer Dryden, Jack Casady, Jorma Kaukonen and Grace Slick. 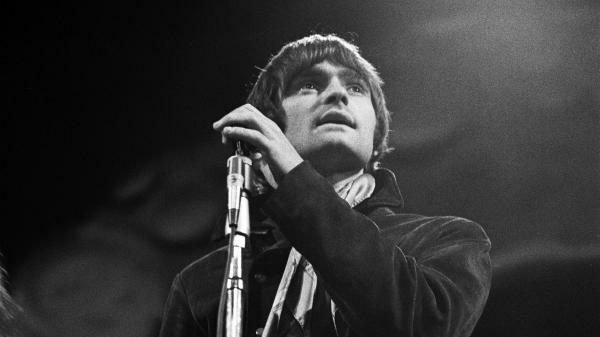 Marty Balin, a co-founder, vocalist and songwriter for psychedelic mainstays Jefferson Airplane and Jefferson Starship, died Sept. 27 in Tampa, Fla., a statement from his family confirmed. No cause was given. He was 76. In 1965, Balin was an aspiring folk singer and co-founder of San Francisco's The Matrix, a club that quickly became a petri dish for Jefferson Airplane — which began as the club's house band on Aug. 13, 1965 — as well as San Francisco's developing rock music scene writ large. Balin was born Martyn Jerel Buchwald in Cincinnati on Jan. 30, 1942, the son of Joe and Jean Buchwald. Jefferson Airplane was founded when Balin, keen at the time to fuse his folk roots with rock and roll, met fellow folkie Paul Kantner from the profuse San Francisco music scene. 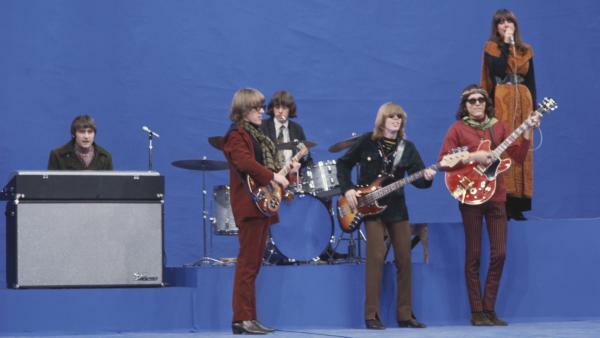 Both began recruiting members to join the group, which had a tumultuous lineup for its first year of existence before settling into its "classic" formation: Balin as singer and roving instrumentalist, Kantner on vocals and sometimes rhythm guitar, singer Grace Slick, lead guitarist Jorma Kaukonen, bassist Jack Casady and drummer Spencer Dryden. It didn't take the group long to define the San Francisco Sound — multilayered and languid, defined by its meandering "acid" guitar work, cosmic lyricism and pastoral contouring — and achieve pre-eminence in the counterculture of the '60s, largely on the strength of the albums Surrealistic Pillow (1967) and Volunteers (1969). After Jefferson Airplane split, some of the group's principals — including Kantner, Slick and sometimes Balin — would top themselves commercially with The Jefferson Starship, which soared through the '70s amassing 17 songs on the Hot 100 singles chart. The Airplane was inducted into the Rock and Roll Hall of Fame in 1996 and awarded the Grammy Lifetime Achievement Award in 2016.